Did you know that the fluoride in our toothpaste and water supply comes to us as a pesticide-production waste-product from China? Or that fluoride itself is neither beneficial nor safe for infants or people over 8 years of age? In fact, it’s considered a poison. While researching a previous story on the European Union’s proposed (controversial) regulations on herbal and alternative health remedies, this author became increasingly aware of the overwhelming abundance of involuntary chemical and pharmaceutical exposure we all face. Particularly for those of us in the US, industry, special interests and just plain ‘good intentions’ gone wrong, have effectively poisoned our food, our water, our environment – and our children. Take the fluoride myth, for instance. Studies increasingly point to not just the ineffectiveness of fluoride in maintaining dental health, but to its high degree of toxicity. We routinely use far more than is safe (the amount of fluoride-‘enriched’ toothpaste we should use each time we brush is truly tiny, not the voluptuous dollop we’re shown in TV commercials). Read your toothpaste tube warnings. Not that there’s actually any truly ‘safe’ level of this highly toxic substance. It is so toxic, in fact, that according to this video, the Chinese government considers it too dangerous to permit in their own water supply. Yet, apparently, the US imports it from China (in the form of a waste-product) and then forces us to drink it through our municipal water supply. 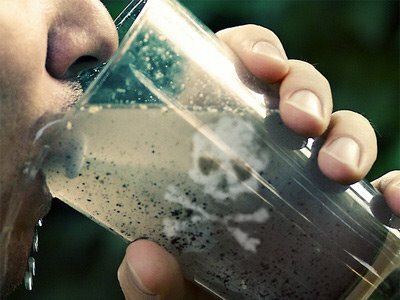 Worse, in many communities in the US we drink many times more than the ‘safe’ level, through our drinking water. As we’re all urged to drink more water for our health, those of us in ‘fluoridated’ districts are consuming massively toxic amounts. Bear in mind, too, that this is the same water supply that is then released back into the natural environment, contaminating our fish, birds, crops, streams – and if it’s this poisonous to us, imagine what it’s doing to our innocent wildlife. How about your children? Fluoride is now known to cause lower IQs in children. Governments should not be permitted to forcibly impose fluoride, chlorine or any other chemicals on an unknowing and/or unwilling populace. If you don’t care enough about wildlife or the environment to take action, at least do so to protect unborn children and aging adults. Next articleDea: Since the law is ignorant, so shall we be. Conservative rhetoric to prevail in Illinois?